How to use Google Street View Publish API to publish in video mode? How to fix "Nothing to do" error on openproject configure? In docu. 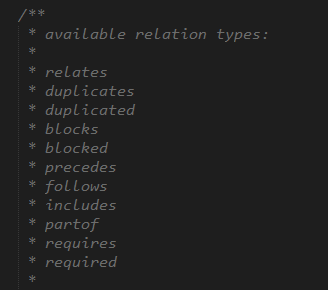 There is an example how to create some kind of relation between packages but there is nothing about creating a parent child relation. Maybe someone knows how to do this? I will post a screen shot when I get to my pc. Although parent-child relations are in fact relations (conceptually and in the db), they are not treated as such in the API (mostly for historic reasons). 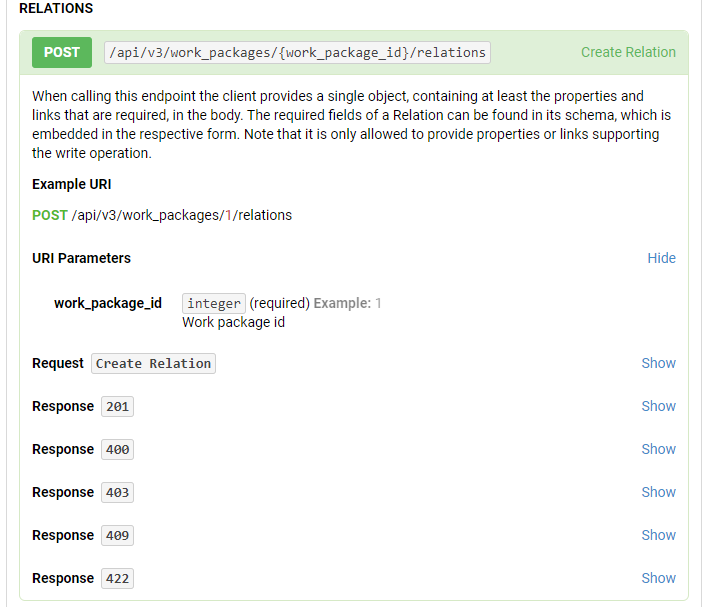 "href": "/api/v3/work_packages/[ID of the work package to become the parent]"
There is actually an example in the API documentation. You need to open the "Request" example for the PATCH to `/api/v3/work_packages/:id to see it, though. We are trying to develop a utility to upload GSV tours that consist of a series of 12K and 14K 360 photos shot along each route. The GPS data is recorded with a GPS logger. For efficiency, we would like to convert each tour/series into a video and upload it using the Google Street View Publish API. We've found where it explains the metadata track (camm) required for the video. However, We have searched the API documentation and cannot seem to find where it explains how to upload the actual videos. Can anyone help? Thank you. In Wordpress 5.1.1 I have custom post type called 'food'. It consist of a title and and image gallery block. In a custom Wordpress rest API end point I want to get the image urls from the gallery. Before i send the data i loop through the post and adds the ACF to the post and the thought the same method would work. Newer method for blocks as I can understand. This is my post loop. The ACF method works. I can see the images are there by looking at 'post_content' but it can not find the gallery. It keeps giving me an empty array in 'images'? Any suggestion? thanks for reading. I would like extract Cost Report Grid. I would like the address to be openproject.example.net instead of openproject.example.net/openproject. How do I make this happen? I assume with a .htaccess file, but what is the code and where do I put this file? This is the contents of the openproject.conf located at /etc/apache2/sites-available. OpenProject may be accessed at http://#IPv4 address#/openproject or at http://openproject.example.net/openproject. I would like the second URL to read http://openproject.example.net. When I run openproject configure right after installation process it goes well up until the line "No package mod_ssl available". Followed by "Error: Nothing to do". Openproject can't be accessed. I'm using PostgreSQL and auto installation/configuration option. I've tried skipping all but the most essential options in configuration, to no help. The mod_ssl unavailable bit is the most surprising, since after I run rpm -qa|grep mod_ssl I get "ea-apache24-mod_ssl-2.4.38-3.3.1.cpanel.x86_64" - meaning I in fact do have mod_ssl available.